Products of the domain : Bertagna. The Domaine Bertagna is a large property acquired in 1982 by a German family. The estate has greatly modernized in recent years by making very large investments in new winemaking techniques. In addition, the estate has also invested in the acquisition of new vineyard so as to accelerate its development. Today, the Bertagna estate covers 18 appellations between Aloxe-Corton in the south and Gevrey Chambertin in the north, on the coast at night. Five grands crus and seven Premiers Crus are part of the wines produced by this fabulous estate. With these 21 hectares the domain is one of the most prestigious areas of Burgundy, moreover it is located a few hundred meters from the Castle of Clos de Vougeot, in the center of this famous village. The Domaine Bertagna has always worked according to the method of reasoned control and makes it a great principle of its exploitation. The vinification is always made according to the Burgundy tradition with a maturation in oak barrel for almost 18 months. 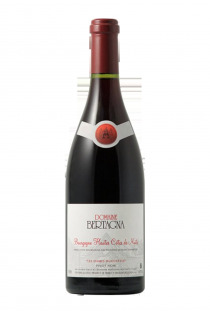 It produces complex and firm wines, with lots of fruit and silky tannins. BOURGOGNE HAUTE COTE - 2008 - Bertagna. 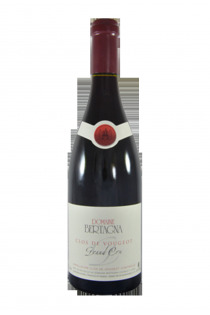 Clos de Vougeot Grand Cru - 2014 - Bertagna. 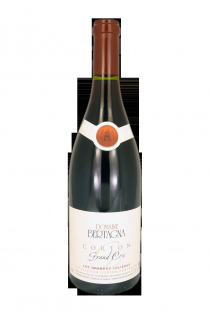 Corton Grand Cru Les Grandes Lolières - 2008 - Bertagna. 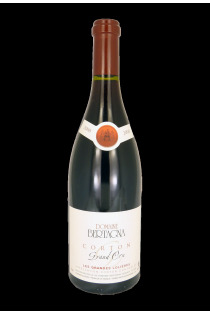 Corton Grand Cru Les Grandes Lolières - 2012 - Bertagna.